As women we try everything to make our skin look amazing. We buy the latest foundation, slather on as much moisturizer as we can, and we even watch what we eat in order to see results. Sometimes the way to see better results on the outside is by working on the inside. Beauty supplements aren't anything new but now there's a wide array of supplements to cover any of your beauty needs. Do your nails break off easily? There's a supplement for that. Do you have really dry skin? There's a supplement for that too! Wrinkles? You got it! I think you get the idea... I got to pick two supplements for my specific needs from NeoCell and they were kind enough to let me host a giveaway for my readers! When I got contacted by NeoCell I was ecstatic because I had seen their products at Sprouts ever since their days as Henry's. I always had my eyes on certain products but I just never picked them up because I'd simply forget or I would be sent to the store by my mom to get specific things. Let me tell you I had a hard time picking two supplements because they have a great lineup of products. There's supplements that taste like chocolate and berries, and others that come in powder form. I decided to go for the Collagen Beauty Builder and the Hyaluronic Acid supplements because they seemed to provide the things I was looking for. I spoke a bit about what collagen and hyaluronic acid do in my Tips for Luminous Skin post, but in case you didn't read that I'll tell you a bit about both of those components. Hyaluronic acid and collagen are components that are found in our skin and tissues. People mostly know of collagen thanks to lip fillers, but collagen is a protein made up of amino-acids that is found in our connecting tissues. As we start to age our face looks less plump because the collagen levels in our skin start decreasing. Collagen is one of the things that makes our skin appear more youthful and smooth. Hyaluronic acid is becoming quite popular in recent months because it promotes skin turnover and holds on to a lot of moisture. In conjunction they will give you an appearance of smoother, youthful, and more radiant skin. The Collagen Beauty Builder retails for $20 and comes with 150 tablets. You are suggested to take 3 tables twice a day so if you take the suggest amount then one container will last you 25 days. The Hyaluronic Acid supplements retails for $27 and comes with 60 capsules. The suggested use is twice a day on an empty stomach so the container will last you 30 days. As far as the price tag goes I found that they retail for about the same amount as other supplements I've seen on the market. I personally think they're affordable for the kind of results that they offer. I could go on and on about what the products do for your skin, but I feel like in this review the pictures are going to speak for themselves. 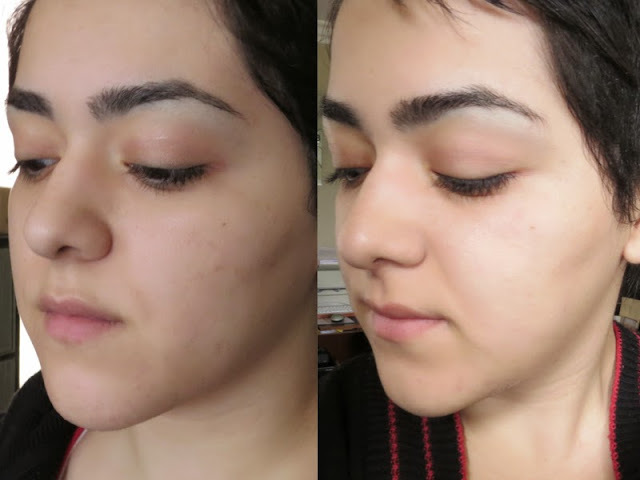 In this before and after pictures you can clearly see how much smoother my skin looks especially on my cheeks. In this picture you can see how some of the lines in my face appear more faint. I'm almost 24 so I'm not worrying too much about wrinkles yet, but I think it's always good to be proactive. The line around my mouth is what I was the most impressed with in this picture. 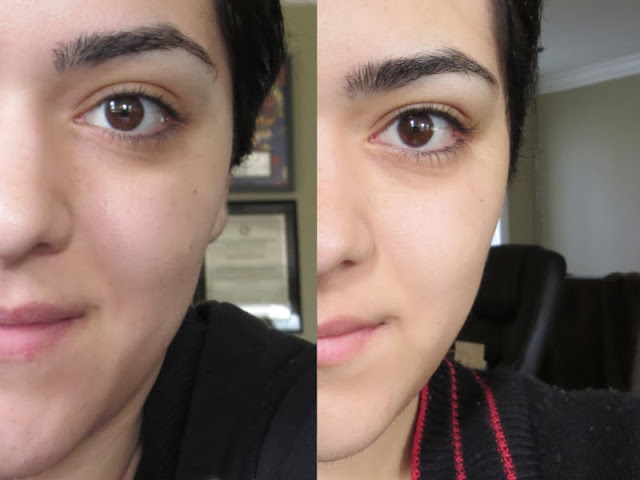 The laugh lines are really faint and barely noticeable in the after picture. I also think the skin around my eyes looks a lot more plump and youthful. 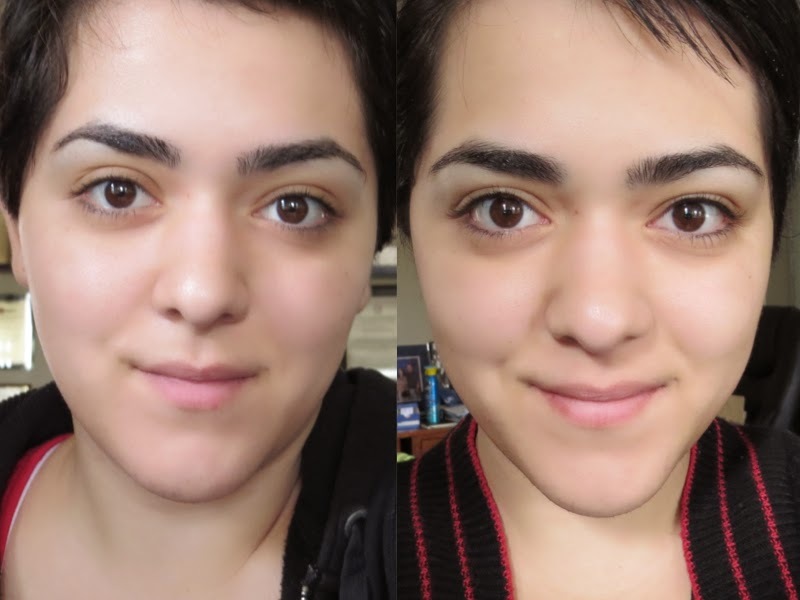 My skin wasn't horrible before but I really feel like the supplements just helped make my skin look more even, plump, and moisturized. I haven't had any issued with my skin feeling dry or flaking since taking the supplements. I also feel like the texture of my skin is overall a lot smoother. I could just go out the door without makeup because my skin has been looking amazing lately. I was extremely happy with the results I got and I would highly recommend these supplements to anyone. My skin is retaining a lot more moisture and is looking more radiant than ever. My eye area looks more refreshed, even in the morning. My nails are even stronger (to the point that they feel like they're fake). My hair feels a lot softer and looks shinier. I want to get my mom these supplements and see what kind of results she would get, but if you're in your 20's or early 30's then you can expect similar results to the ones I got. Apart from skin benefits I've also noticed that it's helped my knee problem. One of the reason main reasons why I chose to try the hyaluronic acid is because of my knee problem. I got injured a few years ago and ever since my left knee will click when exercising or stretching. I also experience quite a bit of knee pain once the weather starts to cool down. Since taking hyaluronic acid the clicking has reduced a significant amount, to the point that it no longer bothers me. I've also haven't experienced any pain whatsoever and the wind here in San Diego has been extremely cold lately. If you have some joint problems then I would highly recommend you try hyaluronic acid. a Rafflecopter giveaway I hope you enjoyed this review. Now for the giveaway, this is a U.S. only giveaway so I would like to apologize to my international readers. One lucky reader will win the supplements I got to test out! There is one mandatory entry and that is to leave a comment in this blog post about the NeoCell products that most intrigues you. There are also bonus entries and you can tweet the link once a day to earn even more entries. I can't wait to see what you supplements you would like to try and I would like to thank NeoCell for making this giveaway happen. Disclaimer: I was contacted by NeoCell to review two of their supplements and host a giveaway. I am not being paid for this review. All opinion are my own and the pictures are unaltered. I didn't even tamper with the brightness settings so what you see is what you get.